It's that time again! The 4th annual Maize & Blue Nation college pick'em league is live! 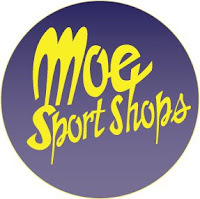 Once again, our great friends at Moe's Sport Shops/Underground Printing have stepped up to offer prizes for the top 3 finishers. To join the group, click here. Password is "Team134". The format is basic pick'em style. Ten games each week, you pick the winner and rank in order of confidence. If you have any questions, ask them in the comments below. Enrollment is free and open to anyone. Sign up closes once games begin on August 31st.